Construction Review- Services- Brown & Beattie Ltd.
Brown & Beattie Ltd. provides construction review and contract administration services that include periodic inspection of the work to protect owner interests and report that it is being completed in accordance with specifications and drawings. The frequency of these inspections is customized to suit project/client objectives. Prior to commencing construction, Brown & Beattie prepare contract documents, assist in the application of the building permit and conduct a photographic survey of the property to ensure that it is restored to an equal or better condition than before work started. Construction materials, samples and mock-ups are reviewed during the course of the work. Where appropriate, materials and components are tested for conformance with the specifications. Material manufacturers are brought in to review surface preparations and material applications. 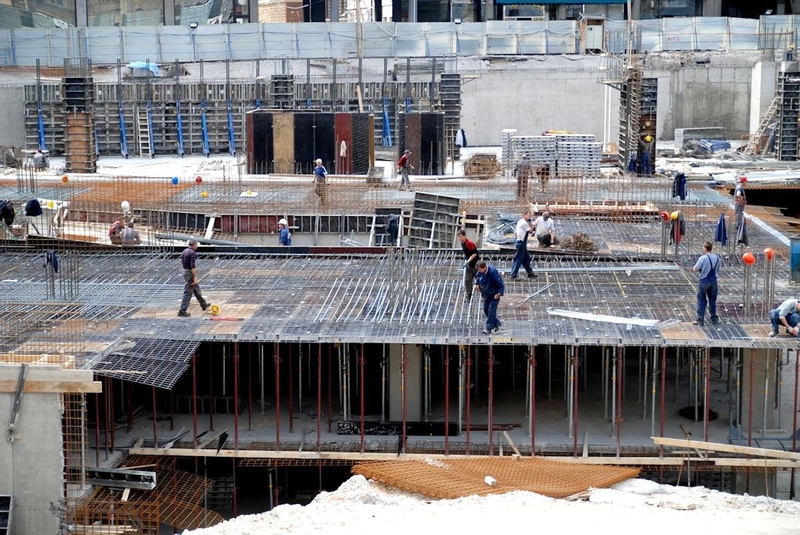 Regular meetings are held on site with the contractor and the owner’s representative including a pre-construction meeting and a final inspection meeting. 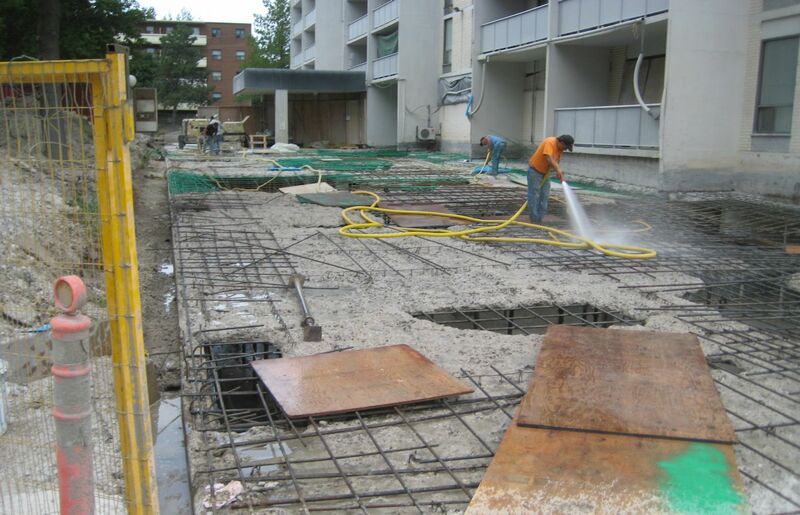 Meetings during the work are used to update the owner with progress of the work. For unit price contracts, repair quantities are measured by Brown & Beattie to form the basis of contractor invoices and to monitor the project budget. Contract administration services include ensuring the contractor submits all required documentation such as WSIB certificates, insurance certificates, bonds, substantial performance publication certificate and warranties. Brown & Beattie Ltd. will review the contractor’s invoices to ensure the owner never pays for more work than has been completed. As the project nears completion we will declare substantial performance and monitor the completion of work including deficiencies and clean-up. We are able to provide professional, expert advice on your project. During construction review, we ensure your project is being completed efficiently, to code and specifications. Several options were reviewed by the owner after the failure of the embedded ramp heating system at this downtown Toronto high-rise. 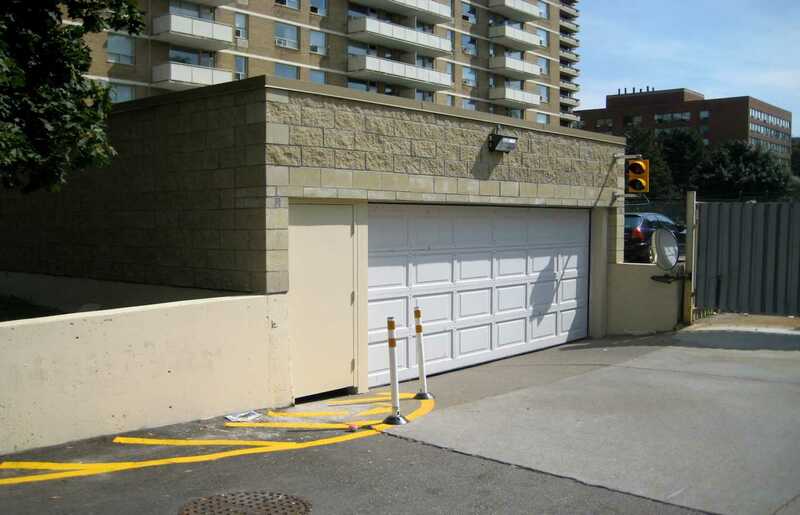 In place of traditional ramp heating cables, the owner opted to construct a ramp enclosure to prevent the build-up of snow and ice on the garage access ramp in the winter months. Although a more costly initial investment, such an enclosure provides a significantly longer serviceable life with reduced maintenance. Our design for the enclosure involved a multi-disciplinary focus including structural, architectural, electrical, mechanical and life safety considerations. Brown & Beattie Ltd. provided engineering services related to specifications, structural design, tendering, construction review and contract administration.